D.A. Sound is a local owner operated company based in the greater Puget	Sound area. We offer premier DJ equipment rentals, AV equipment rentals,	PA rentals, full service production management, and even tour management. D.A. Sound was founded on the same key principles that guide us in our	quest to provide the best quality service in the industry. Our commitment	is to provide high quality AV equipment rentals and great prices, and	the customer service and support to ensure your event goes perfectly. With over 40 years of experience with everything from DJ systems to high-level	AV equipment rentals, D.A. Sound brings much more to your event than just	great equipment. 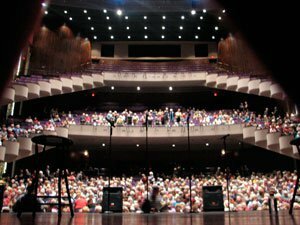 We can work with your staff by training how to use our	equipment, or even supply a life sound operator ourselves to help ensure	that your event goes off without a hitch. At D.A. Sound we focus on competitive pricing, flexible rental hours, and	the highest level of customer service around. 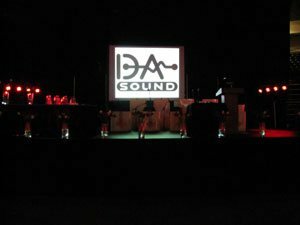 DA Sound provides high quality AV equipment rentals to local events like	Issaquah, Redmond, Seattle, Tacoma, Everett, and even Olympia. But our	ability to help provide our same level of customer service and quality	AV equipment rentals to farther away places like Alaska, Montana, North	Dakota, South Dakota, and Wyoming, truly sets us apart. At DA Sound, we don’t believe in dropping off a pile of AV equipment	rentals, and expecting you to figure everything out on your own. Our highly	trained staff is here for you every step of the way. We even offer our clients a 24/7 emergency help line in order to ensure	that your AV equipment rentals function perfectly all event long. PA rentals are another aspect that we are happy to help with. 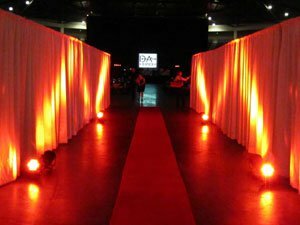 Our PA rentals	are perfect for whatever meeting or event you need them for, and come	with the standard D.A. Sound Guarantee. No matter what your AV Equipment rental needs are, D.A. Sound wants to	extend our invitation to you to take advantage of our superior service	and equipment. Let D.A. Sound show you why we believe we have the best	show in town.